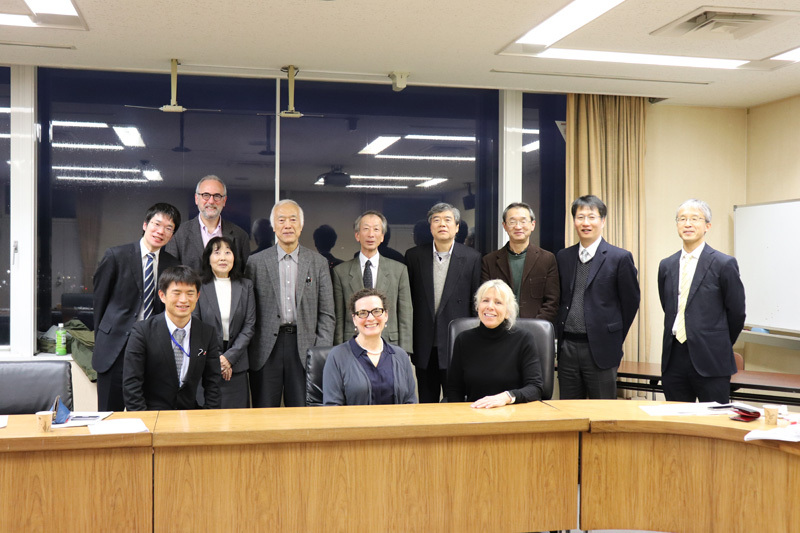 On December 12th, 2018, members of the University of California, Davis Global Tea Initiative (GTI), Professor Jacquelyn Gervay-Hagueand and Associate Professor Katharine P. Burnett visited the University of Shizuoka (U of S) to give open lectures to students and interested specialists in the seminar “Studies of Tea in UC Davis” (Photos 1 and 2). Their talks were entitled “Establishing Best Practices for Sustainable Tea Growth and Production in California” and “Art History without the Art: The Curious Case of Sino-Vietnamese Teapots before 1700,” respectively, and were attended by an audience of around 100. 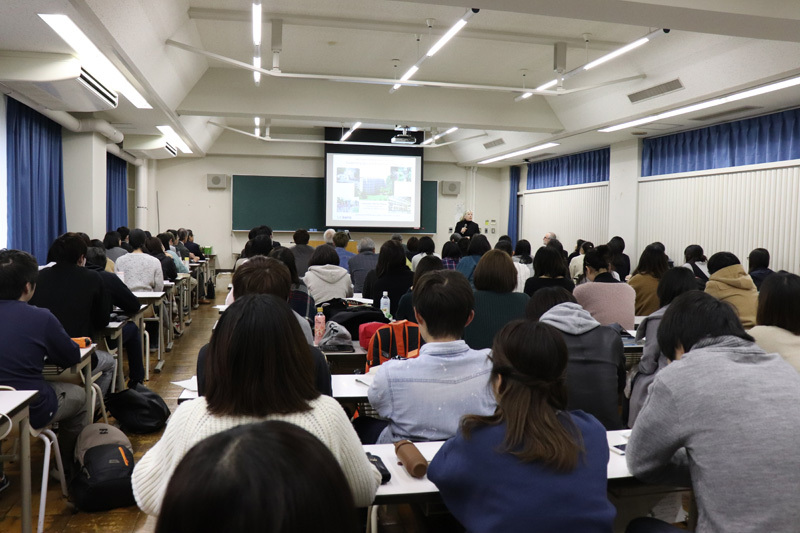 The seminar was hosted by Professor Hirokazu Kobayashi, the Dean of Graduate School of Integrated Pharmaceutical and Nutritional Sciences, as part of the U of S inter-university partnership established with UC Davis in 2011. 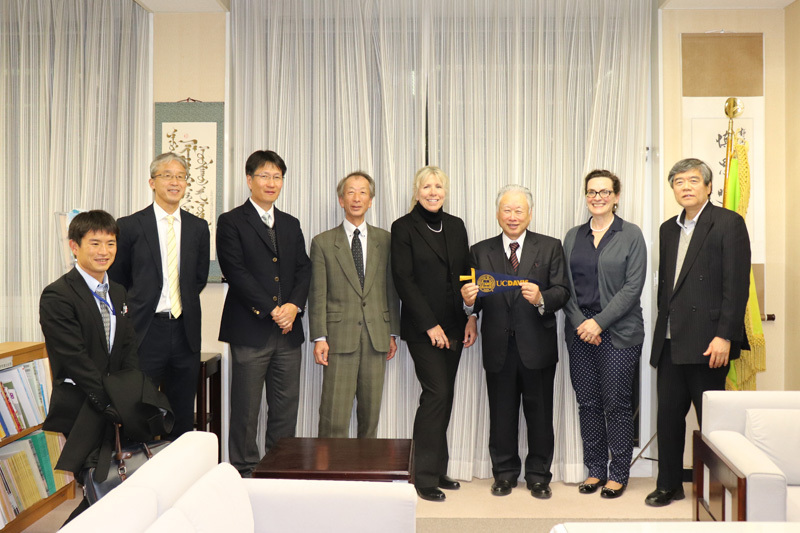 After the seminar, the GTI members discussed potential future collaboration with university leaders, including Yoriyuki Nakamura, Director of the Tea Science Center, Takeshi Hamashita, Director of Global Center for Asian and Regional Research, and Hisao Tomizawa, Deputy Director of the Global Center, as well as with scholars from other universities and officials from the Shizuoka Prefecture Government Tea Industry Development Division and the Ministry of Agriculture, Forestry and Fisheries of Japan (Photo 3). Discussed in the meeting was the “Inter-University Exchange Project: Support for the Formation of Collaborative Programs with U.S. 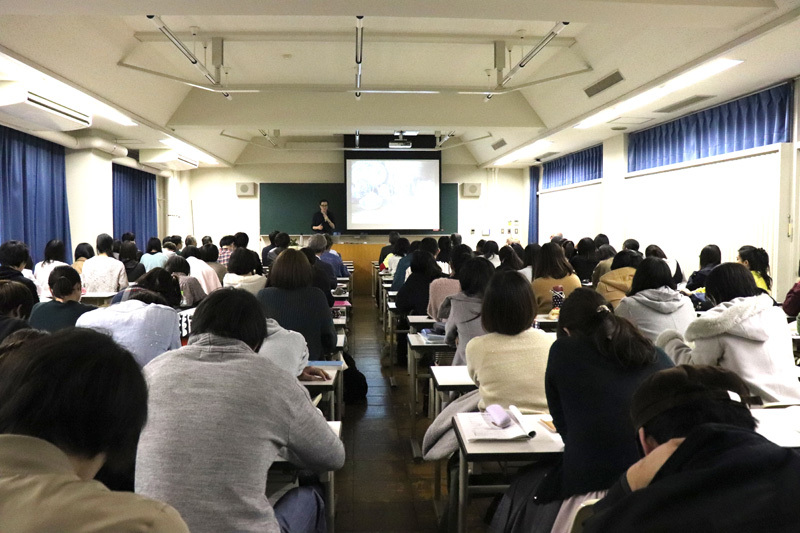 Universities using COIL-style Education”, a program established by the Ministry of Education, Culture, Sports, Science and Technology (MEXT) of Japan in collaboration with Sophia University and Ochanomizu University. The collaboration of U of S with GTI may be partially incorporated into this program. The GTI members also met with U of S Chairman Kazuo Oike (Photo 4). Among other matters, they discussed haiku, the Japanese seventeen-syllable poetry style that is of particular interest to Chairman Oike, including the relationship between haiku and Japanese tea. 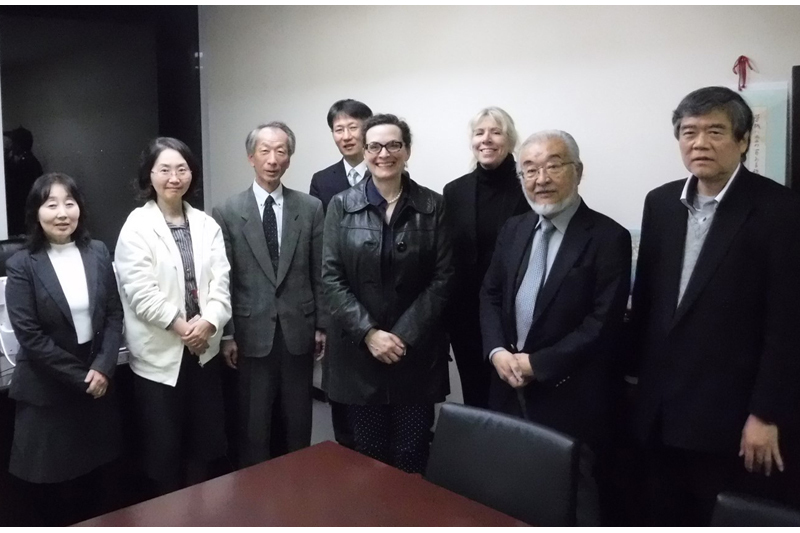 Finally, they met with U of S President Hiroshi Kito to discuss future collaboration (Photo 5). Shizuoka Prefecture is proud to be Japan’s number one producer and per-capita consumer of tea. The U of S Graduate School of Integrated Pharmaceutical and Nutritional Sciences is now preparing its Tea Science Specialist program, which will begin accepting students in the near future. As part of its educational mission, the University promotes the development of the tea industry, the understanding of the health benefits of tea, and the world-wide spread of tea culture. We are very pleased with the contribution to this mission made by our collaboration with the UC Davis Global Tea Initiative.